Photo. www.navsource.org By Dan Treadwell . 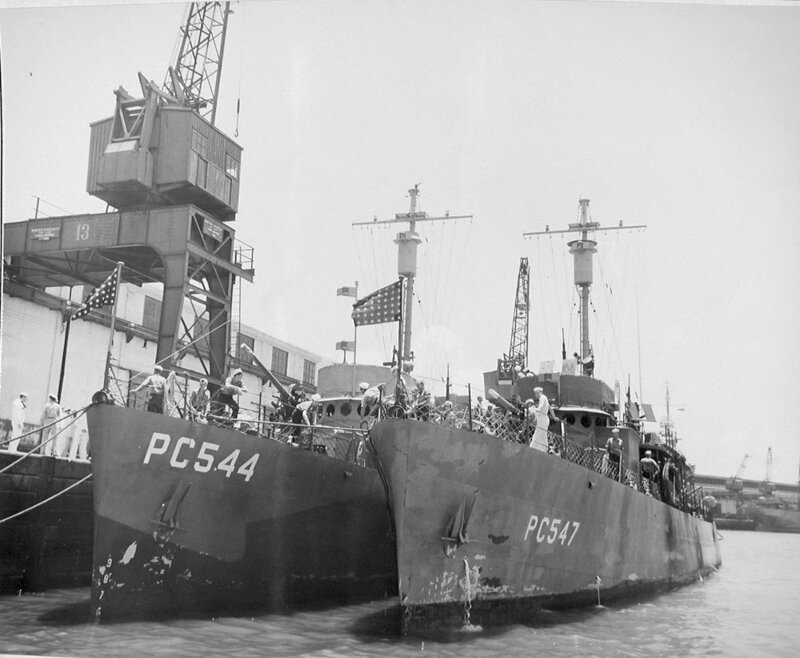 Both PC 544 and 547 seen at Recife Harbor also denominated Camp Ingram USN Admiral The US Fourth Fleet Commander. Photo. www.navsource.org PC 547 seen as Brazilian G2 Gurupi. By Bob Daly PC 1181 Replacement by Robert Hurst. Armament one 3"/50 dual purpose gun mount, one single 40mm gun mount; three 20mm guns, two rocket launchers, four depth charge projectiles, two depth charge tracks. Propulsion two 2,880bhp General Motors 16-258S diesel engines (Serial No. 6908 and 6909), Farrel-Birmingham single reduction gear, two shafts. 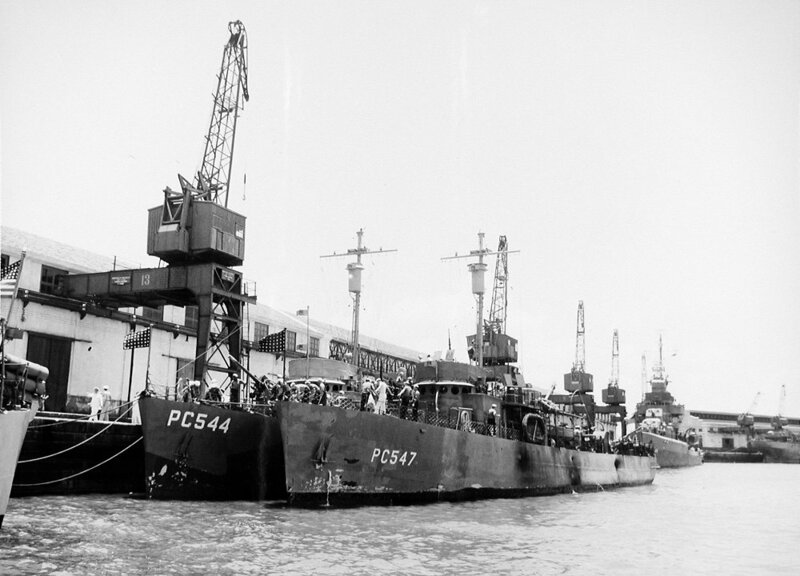 This vessel was part of a group of 28 Patrol Crafts which took part in several convoy escorting duties under Fourth Fleet based at Recife Brazil. 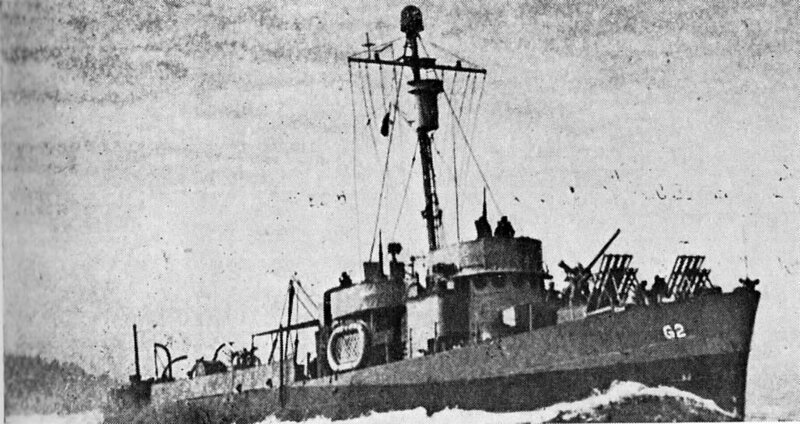 On 24/Sep/42 PC 547 was transferred to the Brazilian Navy when was renamed as Gurupi.